" One choice can transform you." Divergent is a book writen by Veronica Roth and is 487 pages long. This story of 16 year old Tris Prior, has many characters. 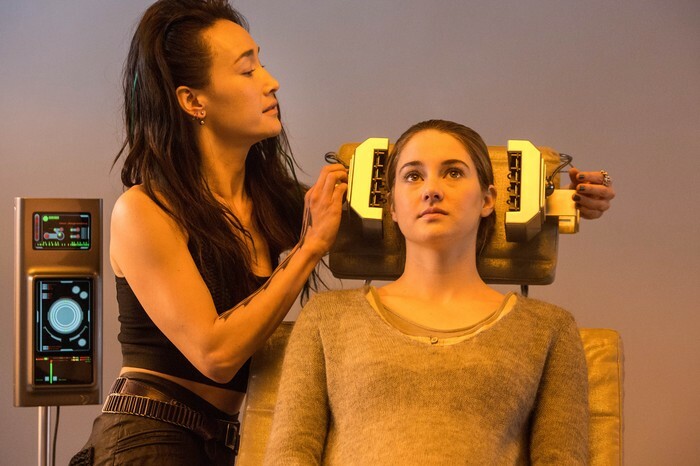 Which includes Tris and Four, who are major characters. But there are also other characters from other factions that are important. This story is set in a futuristic type of Chicago. Some parts live with people, but some parts abandoned and beat up. Many major events happen in this story. All in the perspective of Tris. Tris narorates all what happens to her in this period of time the book displays. Like choosing the right action, fighting others, joining in battles, and doing things that are new. Tris comes along many struggles in this story. She has to deal with people who are cruel, learning to fight, and choosing between your parents path or your own. Divergent is deffinatley a thrilling book to read. I believe the theme is to take risk and be brave. Tris is always trying new things and has confidence in what she does .This theme applies to my life in many ways. I'm always taking risks at new things and being brave about them. You have to take some risks in life or there wont be any adventure in your life. If I am not brave about your actions, they wont be as effective and fun. This is how the theme applies to my life. Tori is setting Tris up for the faction test. Faction transfers Tris and Christina jump off the moving train onto a roof and hoping to land safely. 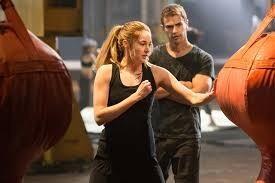 Four helps Tris train during initiation.